Loir-et-Cher is a department in north-central France named after the rivers Loir and Cher. Loir-et-Cher is part of the region of Centre (Val de Loire). The river Loire traverses the department, ensuring easy communication between its own capital, Blois, and the vibrant cultural and commercial centres of Tours to the west and the fringes of the Seine-Paris basin at Orléans to the east. Stay in your ideal Loir-et-Cher holiday house or apartment and visit the stunning Loire Valley chateaux. Blois is dominated by Château de Blois, a Renaissance château once occupied by King Louis XII. Built in the middle of the town that it effectively controlled, the château of Blois comprises several buildings constructed from the 13th to the 17th century around the main courtyard - well worth exploring when renting a holiday home in Loir-et-cher, France. To imagine its size – it’s worth noting the chateau has 564 rooms and 75 staircases although only 23 were used frequently. There is a fireplace in each room and there are 100 bedrooms. The residence of several French kings, it is also the place where Joan of Arc went in 1429 to be blessed by the Archbishop of Reims before departing with her army to drive the English from Orléans. As Blois is built on a pair of steep hills, winding and steep pathways run through the city, culminating in long staircases at various points. To the south of the city, the Forêt de Russy is a reminder of the thick woods that once covered the area. Be sure to see The royal Château de Chambord at Chambordin when on holiday in Loir-et-Cher, one of the most recognizable châteaux in the world. This is owing to its very distinct French Renaissance architecture that blends traditional French medieval forms with classical Italian structures. 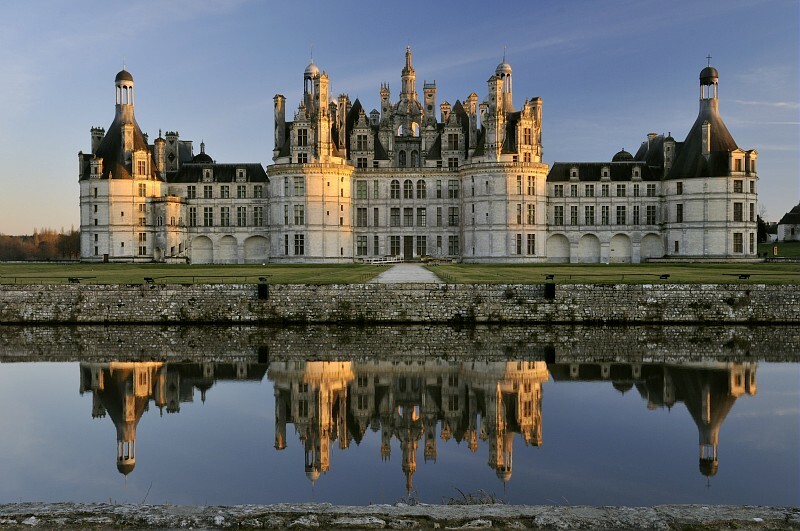 Chambord is a must see when you rent holiday accommodation in the Loire-et-Cher. It’s the largest château in the Loire Valley and was also the inspiration for the Beast's castle in the 1991 animated Disney film Beauty and the Beast. The Château de Chaumont is currently a museum and every year hosts a Garden Festival from April to October where contemporary garden designers display their work in an English-style garden. The Château de Cheverny was thought to have been used by the Belgian comic book creator as the inspiration for his fictional "Château de Moulinsart" (Marlinspike Hall in English) in The Adventures of Tintin books. By road: The A10 motorway connects Blois with Paris, Orléans and Tours. Journey time from Paris is 2 hours and from Cherbourg just over 4 hours. By rail: The Gare de Blois railway station offers direct connections to Paris, Orléans, Tours, Nantes and several regional destinations. Direct trains to Paris Austerlitz station run frequently and are around 2 hours. By air: Tours Loire Valley Airport connects the Loire Valley to London Stansted Airport and Dublin. These links are provided by the Irish airline Ryanair.